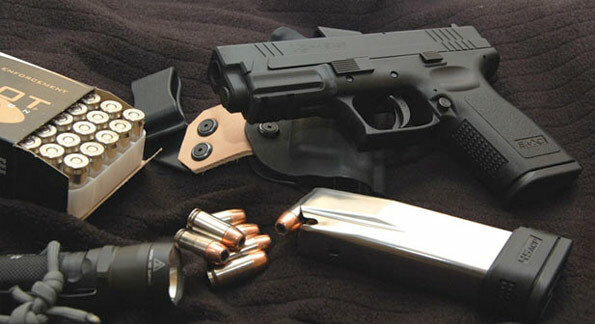 Home Tactical Tips for Choosing a Concealed Carry Pistol. Think about something thin and light, which translates to comfort when carrying. Make sure that you consider your regular dress code and ask yourself whether you will be able to conceal it easily. A gun shop with great customer service will even allow you to hold and feel the pistol you are looking to purchase and perhaps even try it out on a holster at you hip so that you can know exactly how it feels. You should strive to get a trigger that is neither too light to pull nor too light. It needs to feel just right for you. You mustn’t be forced to acquire something that spells out an accidental discharge or something that can give your finger cramps. You should also be able to dry fire the gun repeatedly without making figure eight impressions with the front sight. The carry pistol that you buy has to be reasonably accurate when you use it to shoot a target that is in the range of 10 yards and closer. It should be forgiving of the arc movements that are generated by the tremor of your hand after you shoot and you should also be able to place equally accurate follow-up shots. Assailants usually don’t go down after just a single shot; thus a good recovery of the second shot is quite critical. Without question, the gun that you eventually purchase has to be durable and it must hold up when you need it. This calls for something that is easy enough for you to use. It shouldn’t take you too much effort to clear the gun or cycle a round into the chamber if you settle for a semi-automatic pistol. In case you decided on a revolver, your thumb should be able to reach and operate the cylindrical release latch with ease. In short, using it must feel natural because in times of danger, you can forget any fine skills that you could have learned. Remember to try out the gun before you leave the shop!